Award-winning newscaster Nazlı Çelik ’96 discussed her compelling journey, the significance of her time at TASIS, and her pioneering career as a female journalist in Turkey with TASIS seniors in the Palmer Center on the evening of Sunday, November 18. 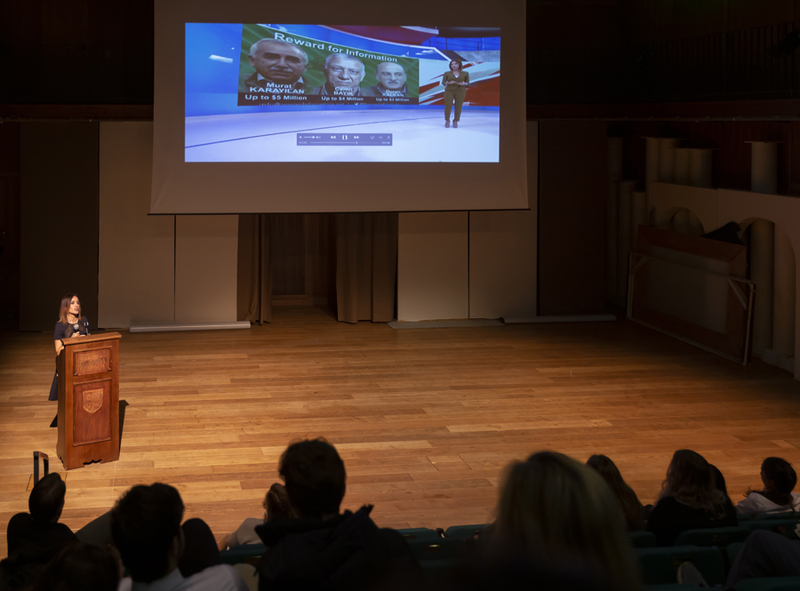 Her visit represented the second installment of the 2018–2019 TASIS Speaker Series. Ms. Çelik, whose impressive accomplishments were discussed in a recent TASIS Alumni Notes entry, attended primary and secondary schools in Istanbul at Dost College before coming to TASIS for four years of high school. She then matriculated to Emerson College in Boston and double- majored in Psychology and Journalism, graduating with honors.